Lean Methodology is a philosophy of eliminating non-value-adding operations, equipment, and resources ie: waste (Anything that does not add value is considered a waste). The Lean Mantra is "Produce the right products and provide the right services at the required time in the required quantities with consistency and predictability." A successful Lean effort has a significant impact on the organization's performance. Lean involves eliminating waste in the entire organization. 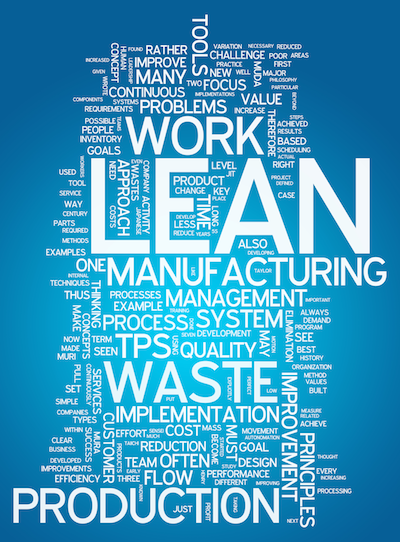 In fact, lean efforts in certain manufacturing support processes are critical to successful lean manufacturing implementation. Â The role of purchasing, warehousing, scheduling, shipping and accounting are all crucial to lean manufacturing success. Lean Supply Solutions Inc. specializes in working with large clients in implementing lean principles within their Supply Chains.